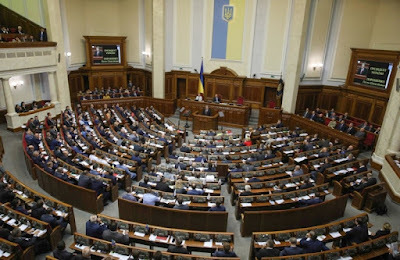 KIEV, Ukraine -- Ukraine’s parliament on Thursday passed a bill that is aimed at reintegrating the eastern territories currently controlled by Russian-backed separatists and goes as far as to declare support for taking them back by military force if necessary. The bill describes the areas in Ukraine’s Donetsk and Luhansk regions as “temporarily occupied” by “aggressor country” Russia. Russia warned, however, that it effectively kills the peace accords to which Ukraine is party and which were supposed to resolve the deadly conflict. Fighting in eastern Ukraine, which erupted weeks after Russia’s annexation of Crimea, has killed more than 11,000 people since April 2014. The 2015 Minsk peace deal helped reduce the scope of hostilities, but clashes have continued and attempts at a political settlement have stalled. 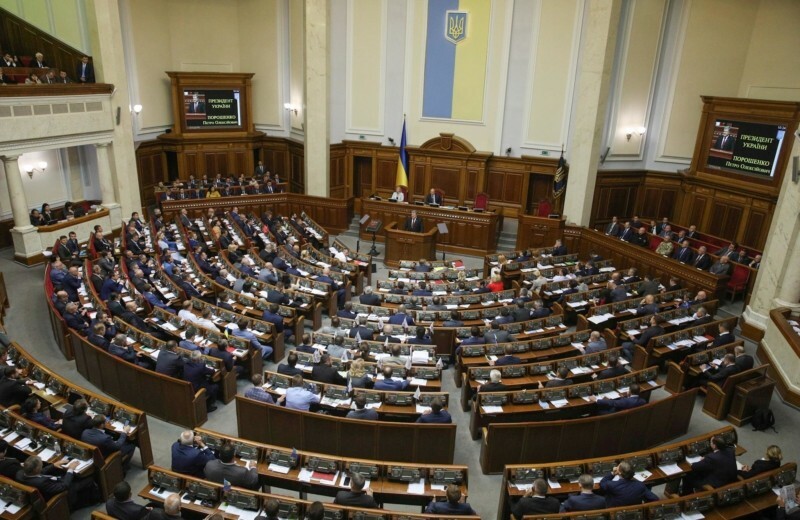 The bill, passed by the Supreme Rada after days of raucous debate, contains no reference to the peace deal brokered by Russia, France and Germany that obliged Ukraine to offer a broad autonomy to the separatist regions and a sweeping amnesty to the rebels. “We can’t embed diplomatic and political agreements that are prone to change into the Ukrainian legislation,” Ivan Vinnyk, a member of Poroshenko’s faction in parliament, said on Thursday while explaining why the Minsk deal was not mentioned. The ministry said the bill runs against Kiev’s commitments under the Minsk accord and further alienates Ukrainians living in separatist-held areas. “Sadly, we are witnessing the making of a situation which is fraught with a dangerous escalation in Ukraine and [carrying] unpredictable consequences for global peace and security,” the Russian statement said. Konstantin Kosachev, the head of the Foreign Affairs Committee in the Russian parliament’s upper house, said the bill effectively spikes the Minsk peace pact, the implementation of which the United States and the European Union have said is a condition for lifting sanctions against Russia. “Kiev has gone from sabotaging the Minsk agreements to burying them,” Kosachev said. The bill backs a ban on trade as well as a transport blockade of the east that Ukraine introduced last year. Of all the documents issued by separatist authorities, Ukraine would recognize only birth and death certificates.